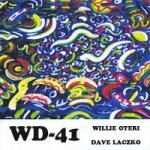 Recordings from German tour dates in 2012 of guitarist Willie Oteri (WD-41, Spiral Out, Dino J.A. Deane, Scott Amendola, Tony Levin, Mike Keneally, etc.) 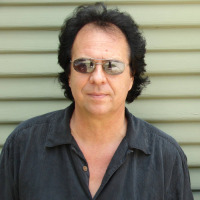 have produced several live tracks that have been edited and mixed for an album titled Shrunken Head Shop – Live In Germany to be released in CD format on August 27, 2013. Prior to the official CD release a few live tracks, running 8 plus minutes to nearly 25 minutes, will be released one by one a few weeks apart in wav, audio, mp3 and other download formats at various sites like bandcamp.com. Some outtakes will also be released as downloads, after the official CD release date. 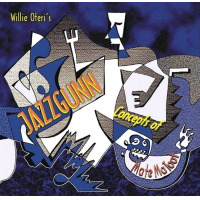 Musicians from the United Sates, Germany and Italy were involved including: Willie Oteri – guitar and live loops, Sylvia Oelkrug - violin, Schroeder – drums, Jan Fitschen - bass and stick, Dave Laczko - electrified trumpet, Alex Arcuri – bass and Konrad Wiemann – percussion. 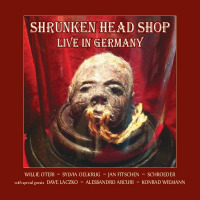 Shrunken Head Shop - Live In Germany is an adventurous recording of Total Improvisation with the guitar work of Willie Oteri and the unique trumpet sounds of Dave Laczko of WD-41 together with great German and Italian musicians recorded live on various dates in 2012. 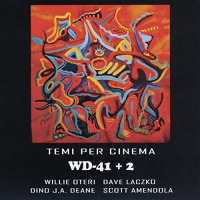 Oteri and Laczko have well received releases and videos with top names in progressive and jazz circles and they agree these recordings are of their best to date. Following the release of Shrunken Head Shop Live In Germany look for tour dates in Germany and Italy in the spring of 2013. Various forms of the group are available for bookings around the world.